Staring Fiona Gordon as a hapless Canadian tourist in search for her long lost aunt Martha (Emmanuelle Riva), and Dominique Abel as a homeless man who takes a liking to her, the film is a genuine treat full of laugh-out-loud moments which is likely to please the duos growing fan base. As Fiona (Gordon) makes her way through Paris having lost all her possessions on her first day, it soon transpires that the only person willing to come to her rescue, is a besotted Dom who makes it his mission to follow her like a shadow around the city. By basing the bulk of the action in a heightened reality version of Paris, Abel and Gordon are not only able to pay homage to the past, but they also bring a whole new air of poetic realism to their story. Add to that a “blink and you miss it” cameo from ‘70s and 8’0s comedy sensation Pierre Richard (The Tall Blond Man with One Black Shoe, The Umbrella Coup) , it becomes clear that the duo are keen to pay homage to their own comedy heroes all the while adding their own brand of physical comedy to the proceedings. Riva puts in a fantastic performance as an ageing bohemian refusing to let old age dictate the rest of her life. 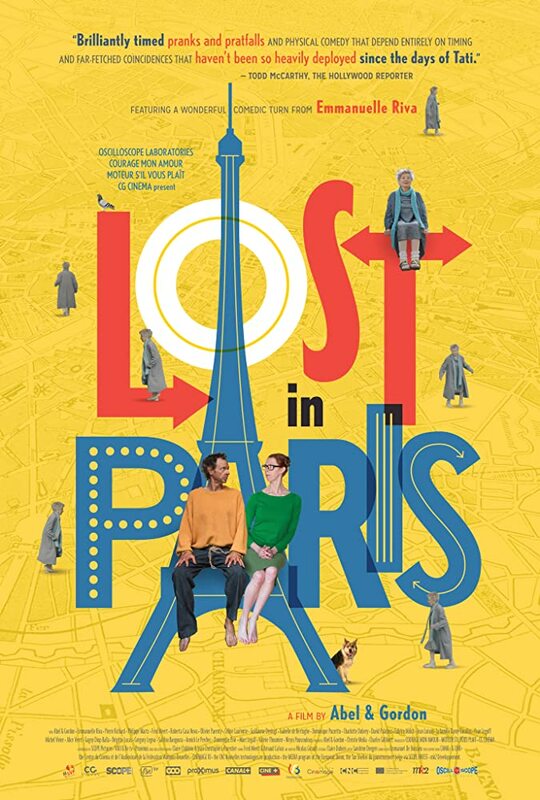 All in all, Lost In Paris is a genuinely heartening piece of filmmaking. A must see.